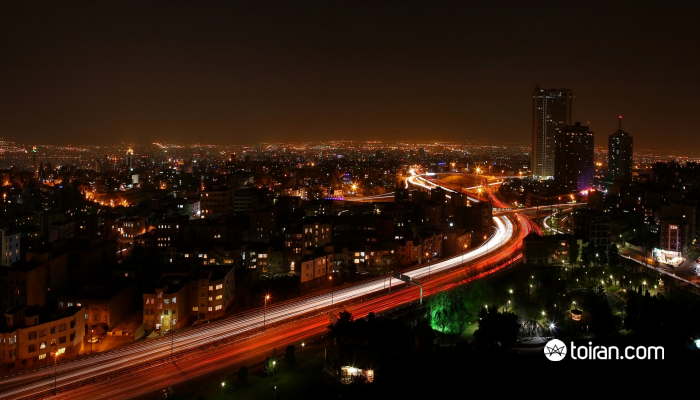 Tehran is the city of high-rise buildings, chic restaurants, gardens, tall mountains, graffiti art and lights that shine bright in the dark of the night and the city which brings together the traditional and the modern. 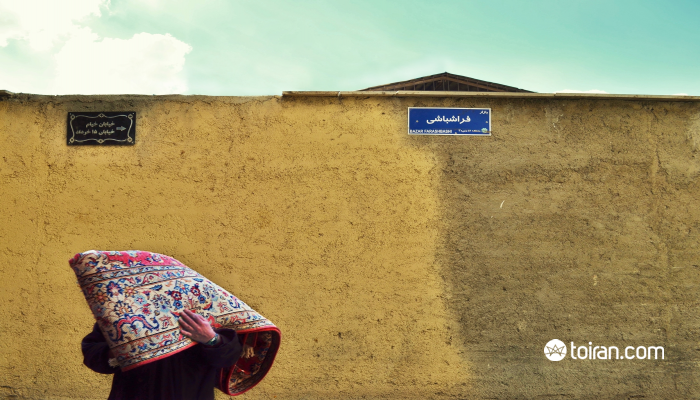 In these two days you will have the chance to explore the more traditional side of the metropolis or Tehran Qadim (old Tehran) as well as its vibrant, modern side. If you are stopping in Tehran and like to ski we also recommend trying the fresh powder at one of the six ski resorts in and around Tehran. Check out our Adventure Skiers package. 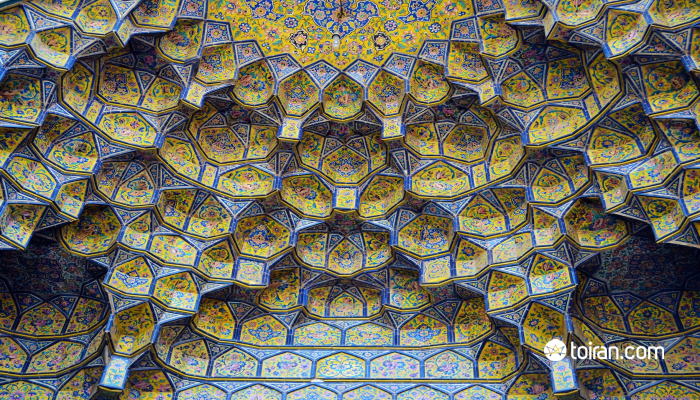 Day 1: This adventure starts in Old Tehran and from the UNESCO registered Golestan Palace Complex where you can see the famed marble throne, Shams-ol-Emareh (Edifice of the Sun), Emarat-e Badgir (wind tower monument) and the Anthropology Museum. Take a short stroll in the Tehran Grand Bazaar and see the endless rows of shops where you can find anything from spices, handicrafts and carpets to musical instruments, tea and jewelry. Stop for lunch at one of the landmark restaurants in the bazaar, which have been serving customers and merchants for nearly a century. Visit Sar dar Bagh-e Melli (The National Garden Façade), the National Museum of Iran where you will see intact columns from Persepolis and handmade jewelry from 1,000s of years ago and many other artifacts from all over Iran. Visit the Qajar mansion which is the location of Abgineh Museum with its pre-Islamic to Islamic era collections of glassware and porcelain. The Crown Jewels Museum will amaze you with its priceless treasures ranging from the Kiani Crown with its 1,800 small pearls, 300 emeralds and 1,800 rubies, the Naderi Throne with its 26,733 jewels and the Bejeweled Globe which is made of 51,366 precious stones. In the evening we recommend dinner at one of the traditional restaurants like Dizi Azeri which has been around for decades. Day 2: You should begin your second day in Tehran at the Museum of Contemporary Arts which has the biggest collection of Western art outside Europe and the US and where the works of Picasso, Matisse, Van Gogh, Pollock, Monet, Munch, Moore and Warhol, among many others, are displayed. Admire Azadi Tower, the first symbol of Tehran, which has been inspired by the arches used in Achaemenid, Sassanid and Islamic architecture, and its museum. 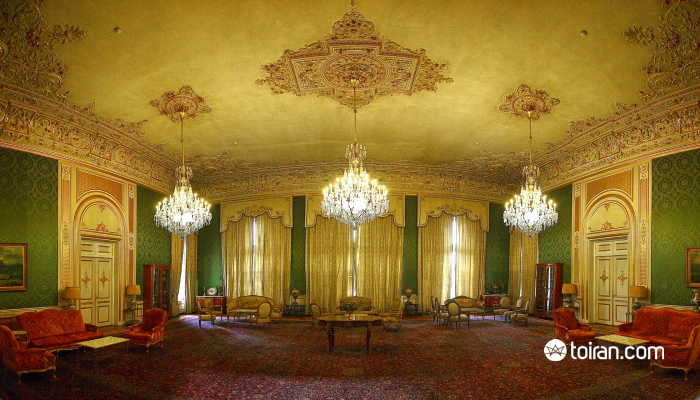 Visit Saadabad Palace Complex and its many palace museums that will please you both with their architecture and design and the precious items they hold. Have lunch in a modern Tehran restaurant and try some of the local dishes. Take a stroll through the more modern and yet still traditional Tajrish Bazaar which brings together an old bazaar and modern shopping centers. You can visit Imamzadeh Saleh, a popular pilgrimage site in Tehran where locals make regular donations of salt and light candles. 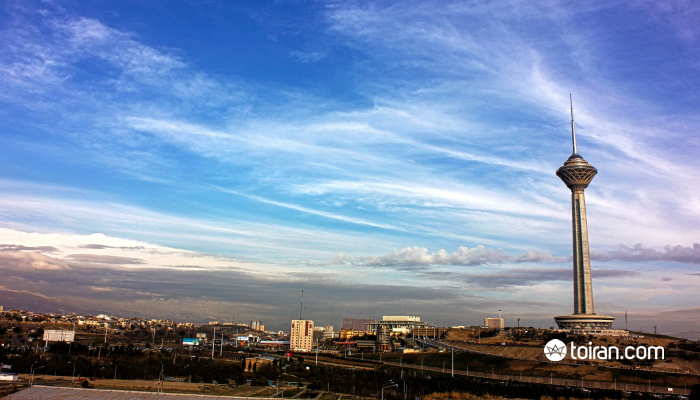 Visit Milad Tower, the second and newer symbol of Tehran, here you can see the entire city from the observation deck and have dinner at one of its many restaurants. Note 1: Please be advised that some museums may be closed on certain tour dates and your itinerary will change accordingly. Note 2: We have designed our tour packages to cover a wide-range of tastes and to be fun. If you don’t find what you are looking for here please contact us and we will design a package especially for you.